The first movement of Mahler’s Second Symphony was used by the composer as a stand-alone piece under the name of “Totenfeier”. 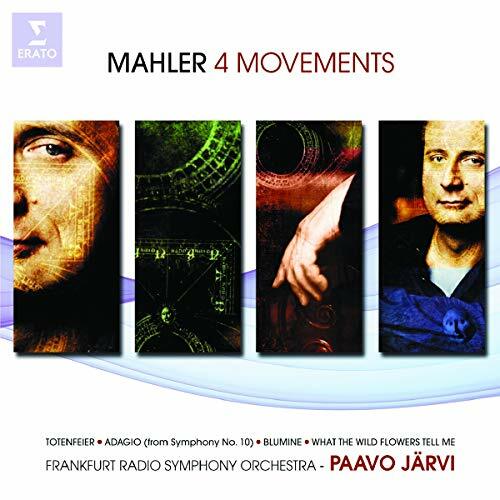 It sounds especially daring with Järvi, partly because it is taken out of the symphony’s framework we are familiar with, and partly because Järvi’s is a particularly care-free rendition, unburdened with having to save anything up for four following movements. In that combination, the composition sounds particularly gutsy, laugh-out-loud daring; heck, it sounds positively ludicrous. Then follows the Adagio from Symphony No.10, an equally long and imposing first movement that is played well enough, but not as delineated as others—Michael Tilson Thomas’ or Michael Gielen’s, for example. That’s daunting music to follow up with the whimsical “Blumine” movement that was originally part of the First Symphony but got dumped by Mahler after the third performance. 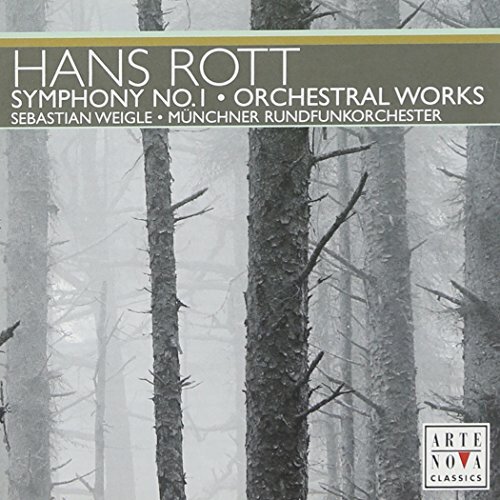 I prefer to hear the movement on its own, rather than as part of a Hamburg version of the First Symphony, and I certainly prefer hearing it like this than out of context, tacked on to a performance of the revised, 1906/10 version. It isn’t particularly deep and meaningful Mahler, and that’s how Järvi plays it; like a youthful afterthought. “What the Wild Flowers Tell Me” is Benjamin Britten’s Mahler-proselytizing orchestration (downsized, for reasons of economy) of the second movement of the Third Symphony. It isn’t Järvi’s performance that is slight, but presumably the difference in orchestral size. But it feels a bit like the producers strained to find something to include after those other three movements, and Britten’s arrangement, conveniently tying in with Blumine on the flower theme, is what they came up with. When I asked him about the CD, Järvi explained the absence of the “Purgatorio” movement, which would have fit in quite nicely, by shrugging his shoulders: “I just don’t relate to that piece”. True, the Purgatorio on its own is small fish and not all that gratifying, but it shows that while Järvi is a record collector, he’s evidently not an obsessive completist. The sound on Virgin’s previous release with these forces—the Brahms Concerto with Nicholas Angelich—was one of the worst I have heard in any new release, and the Dvořák Cello concerto was marred by a vulgar performance of the soloist. Fortunately there are no such shortcomings here. Points of disgruntlement might be the placing of “Blumine” after the dominating Adagio, or the slack performance of that Adagio and “Wildflowers”… but the bold “Totenfeier” and the airy “Blumine” make up for that, I find. Baritone Christopher Maltman, a Vocal Arts Society regular, returned for another concert on Tuesday night at the Austrian Embassy. Unlike his last recital here -- exactly three years earlier, to the day -- he performed songs that were all in German and all set to poems by Goethe. The architect of this brilliant and expertly executed program, accompanying pianist Graham Johnson, also wrote the informative program notes. A little decoagulation-Overture to warm up with—from Mozart’s “Abduction from the Seraglio” (with J.A.André’s ending for in-concert use)—and then the populist draw of the evening: A Mozart Flute Concerto (KV 313) with Emanuel Pahud. The work posits this question: Is it possible to write about Mozart flute concertos and not mention that Mozart hated the flute? Emmanuel Pahud’s tone—dry, airless, with superbly enunciated notes and a touch of Purell—awed duly, but the concerto didn’t rise above routined excellence. To be more to the point: even the surprise squeaks from the horns didn’t make this self-satisfied performance any less boring. But why waste time with the stuffing when there was a glorious Turkey to be heard: Hans Rott’s first and only symphony, and the reason I had traveled to Frankfurt in the first place. I don’t remember how I first came across this Symphony in E, but it was at a time when I was already receptive for Rott’s mix of Wagner, Bruckner, and—so I would have thought—Mahler. It turns out that the 19 year old composer’s audacious work, though heavily indebted to the first two composers as well as Brahms and Schumann, didn’t copy anything from Mahler. Mahler copied from Rott, his fellow student-colleague. “In today’s world”, Paavo Järvi said to me earlier, “Mahler would be sued for plagiarism.” (See interview on WETA.) Complete phrases, the treatment of the chorales—they are all there in Mahler’s Second Symphony or the opening of the First Symphony’s second movement. “You’ve got the Scherzo: daa Bum, baa Bum-da-dam, bum-da-da-da-dam… I mean, really!” Järvi is almost amused at the chutzpah Mahler displayed in lifting ideas from Rott. 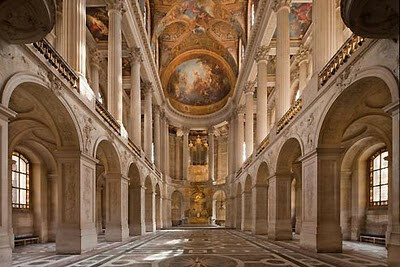 Now, in concert, it is easy to be amazed, impressed, and flabbergasted by the work. Rott is all too quick to pull out all the registers at once, like a young man freshly infatuated with the organ and drunk on his own sound. And with the many, prolonged climaxes, there comes the triangle. And once it comes, it never leaves. It’s as if Rott had forgotten how to switch off the triangle machine. A cause for in-concert merriment, but not necessarily a highlight of the symphony, except for the triangle player who finally has to put in his salary’s worth in effort. The sudden pizzicato waltz scene, followed immediately by a wildly crashing orchestral romp, is another one of those moves later associated with Mahler. Calling the work the missing link between Bruckner and Mahler might be going too far, though—there simply isn’t enough of the humble repose of Bruckner yet; Rott is too much a boy getting excited in the orchestra shop. And as things go under way, he seems to yell to the musicians: You get a solo. And you get a solo. And you get a solo. Everybody gets a solo. Add the false endings (errant applause is almost guaranteed before the Fugue of the finale) and the Wagner piled upon Brahms piled upon Aida-esque grandiosity, and you have a positively ludicrous orchestral fun-house with a built-in ‘name that quote’ game. Impossible not to love! If the recording sessions earlier that morning went a little better than the performance in the evening—the trumpet opening wasn’t terribly secure and the balance was a little awkward in the first movement and the strings initially stiff—then the ultimately hair-raising, over-the-top performance of the Frankfurt (actually: Hesse) Radio Symphony Orchestra should be a front runner among the Rott recordings, surpassing even the current top-dog, Sebastian Weigle with the Munich Radio Symphony Orchestra on Arte Nova. On Monday night the Escher String Quartet returned to the Kennedy Center Terrace Theater, a little over a year since their debut in that venue. This young ensemble, established in 2005, enjoys an active and prestigious concert calendar but still sounds not quite fully formed. Their performance in this concert was marked by extraordinary verve and intensity – perhaps too much so. Sunday afternoon, the Kennedy Center Chamber Players presented an elegant program of Ravel, Dutilleux, and Dvořák that, though less than meaty, was certainly well suited to the Chamber Players’ effortless grace in collaboration. The first work, Ravel’s Introduction and Allegro for Harp, Flute, Clarinet, and String Quartet, is a gem of the chamber literature that was originally conceived as a showcase for the harpist. The piece was written in 1905 in response to a commission from Érard, who had just designed a pedal harp in direct competition with the Pleyel Company, which had commissioned a work from Debussy for their new chromatic harp. The resulting work by Ravel was supposedly polished off in a hurry, but his creation was perfect in its display of the new instrument. The harp, often an accompanying instrument, here comes to the forefront, surprisingly able to carry a melody over all the other instruments in a few instances, and Dotian Levalier, principal harpist of the National Symphony Orchestra, was marvelous. Levalier played with weight and grace, and the distinctive sweeping sounds of the instrument were gorgeous in her rendering of what was, at the time, a new chromatic sound, via the pedals. Though the harpist shone in particular, the ensemble as a whole blended beautifully, with each instrument weaving lightly through and among each other. 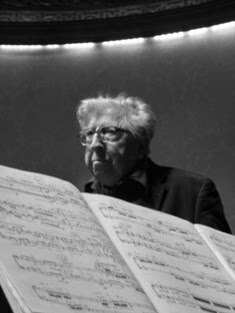 Henri Dutilleux, a living French composer, is known in the area because he had a close relationship with the National Symphony Orchestra and director Mstislav Rostropovich. This work, Ainsi la nuit (1976), would have perhaps had a better effect had it not been preceded by an ill-conceived spoken and played introduction to it, articulated by cellist David Hardy. The work has seven movements, with “parentheses” in between that recapitulate old or foreshadow new material, and with no time between. Foreseeing possible confusion among the audience as to where the titled movements began and ended, the musicians played the first few measures of every movement, and then proceeded to play the parenthesis preceding that movement and its transition into the movement itself. Needless to say, this was a long, drawn-out introduction to a piece that stands firmly on its own, and which does not need a thorough analysis for audience-members’ untrained ears. Dutilleux has exacting and quirky standards, and a love of harmony above all else. Out of his dissonant twentieth-century sound will emerge lush and richly intricate harmonies that seem to hearken to an earlier century. Always technically rigorous, the musicians acutely captured the jarring sounds of this string quartet, only to come together to create richly sonorous harmonies. The final work, Dvořák’s String Sextet in A major, op. 48, was so much in the Kennedy Center Chamber Players’ element that the piece practically played itself. However, at the beginning of the fourth movement, the musicians let this comfort get the better of them, and intonation began to slip. 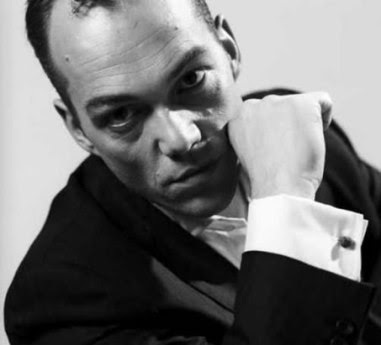 Despite this shortcoming, there were some wonderful moments, such as during a variation in the final movement in which cellist Hardy had a haunting solo over the other instruments’ transparent and blending sound. All in all, it was a wonderful program from a group that rarely disappoints. The Kennedy Center Chamber Players offer one more program to end this season (June 6, 2 pm), a program featuring quintets by Gieseking and Schubert, as well as Szymanowski's Mythes for violin and piano. When the recession forced Washington National Opera to reconfigure its season, the company turned to some tried and true operas. This was somewhat disappointing, as in the revival of Gershwin's Porgy and Bess so quickly after its last appearance, but also made more conventionally minded opera fans happy with the return of some old favorites like Mozart's Le Nozze di Figaro, which opened on Saturday night at the Kennedy Center Opera House. Premiered in Vienna in 1786, Figaro was the beginning of a legendary collaboration between Mozart and Lorenzo da Ponte, who created the libretto from a very current "hit" play by Pierre Beaumarchais, La folle journée, ou le Mariage de Figaro, from 1784. The story is, on one hand, quite topical and connected to the issues of its day: the conflicts between the old feudal rights of a decaying nobility and an increasingly resentful oppressed lower class were about to explode in France. On the other, the themes of the opera — jealousy and disappointment in love and marriage, the inequality of the privileged and poor — are as relevant today as they were then, with or without powdered wigs. Washington National Opera's production of Le Nozze di Figaro continues through May 7, with performances by this first cast on April 26 and 29, and May 2, 4, and 7. Three other performances on April 27, May 1, and May 5 will feature a mostly different second cast. 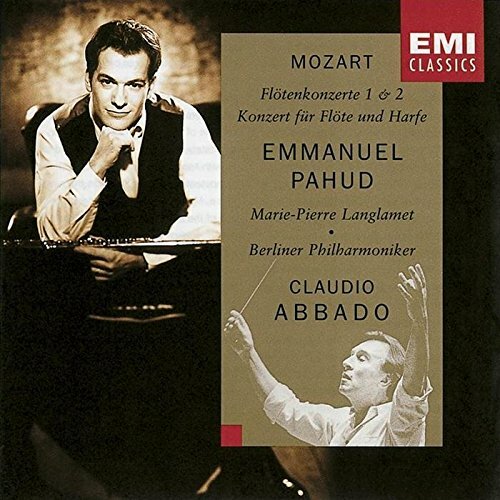 Radu Lupu / Z.Mehta / Israel Phil. 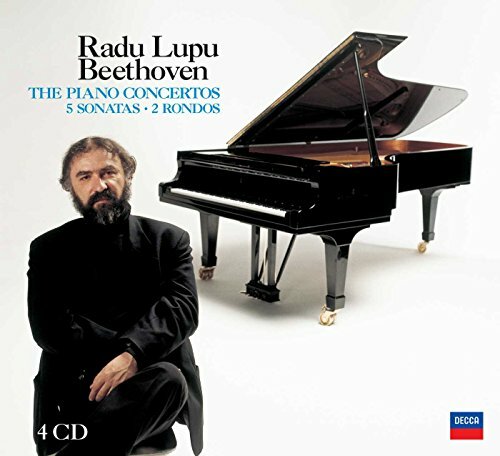 Radu Lupu, one of the great musicians of our time, does much with little; his playing impresses you before you even know it has. Musicality and subtlety are on his side, and his style is casual. The grand romantic gesture—in any case not appropriate for a work like Beethoven’s C-major piano concerto—is completely foreign to him. Even if his casualness occasionally veers dangerously close to slackness, the result is playful-fulfilling Beethoven beyond the fray of tedious comparison… simple and perfect for the moment you are experiencing it in. In some ways even more impressive—though maybe only due to comparatively lower expectations—was the contribution of the Bavarian State Orchestra under Kent Nagano: chamber-like dry delicacy with character from the first notes, sharp accents, and abrupt attacks, it mirrored Lupu’s touch to some extent, and riffed on it. Only the woodwinds might have taken that wry approach a little too far; freely crossing the line between matter-of-factly and unlovely in both directions. 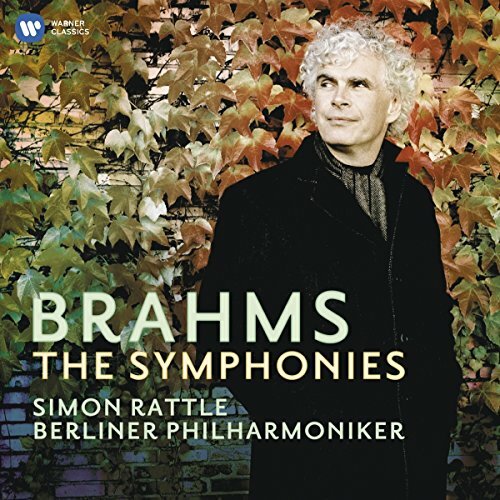 Brahms’ First Symphony came with a saturated, unrelenting (Rattleish) first movement, plowing through and pummeling all of Brahms’ own doubts with ostentatious confidence and determination. If the string sound hadn’t been squeezed, and the concert master on duty on this second of two nights hadn’t struggled so mightily, the first three movements would have been even more imposing than they were. The Fourth Movement didn’t live up to the expectations the first three had set; the pizzicato parts were a touch too slow and too self-conscious—which resulted in the Alphorn motif no longer sounding like a fresh start, a new horizon shown, a tender revelation, but instead a mere continuation of all that which came before. Unabashedly pianistic, broad, repeat-taking, and never the sappy, wallowing-romantic cliché-packed type of performance that Simôn Dinnersteen brings to the keyboard (WETA review, ionarts review). Schirmer manages to display a great sense of calm and repose all awhile being vigorous and rhythmically forceful. She doesn’t display the velvety touch of Perahia, or any of the wilfullness of Feltsman (never mind Stadtfeld), or the steady forward momentum that Koroliov establishes. But she creates an immediate sense of personality and conviviality, which is more than can be said about most of the, usually superfluous, additions to the bulging Goldberg market. 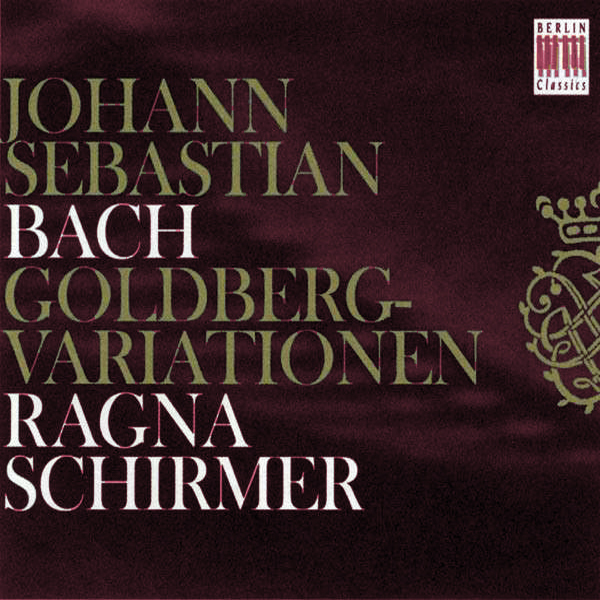 This was the debut album on Berlin Classics for Schirmer, who has since gone on to provide surprise bestsellers, like her 2009 album of all of Handel’s keyboard sonatas. Had I heard her Goldberg Variations earlier I might have been less surprised about the consequent success, even if closely confined to Europe and particularly her native Germany. The double CD (running 87 minutes and accompanied by a fine essay by Ewa Burzawa) has been re-released this month in an attractive digi-pack. Not a must-have, when there are so many worthy Goldberg Variations on the piano, but a "great-to-have".